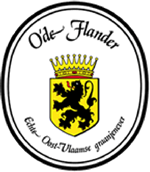 The geneva course is organised by the Economic Council of East Flanders and SYNTRA Midden-Vlaanderen, in co-operation with the Order of East Flemish Master-Distillators and the Flemish wine academy. In four lessons you learn everything there is to know about geneva. The modules take place at night at 7.30 pm. Each time at a different location, with a guided tour of the distillery. The next edition starts in march 2019. Subscribe via mail to Chantal Gheysen.